Saint Preux was born in Immokalee, Florida, to Haitian immigrant parents. He attended Immokalee High School in Immokalee, Florida, where he wrestled, played defensive end for the football team, and ran track. As a wrestler, he compiled a record of 26-1, and was the state’s 1A runner-up in his weight class. During his senior year in football, he registered 75 tackles, including a school-record 18 sacks, and was named All-State. In track, he competed in the 110-meter hurdles, the 300-meter hurdles, the discus throw, and the 4×400 relay. Saint Preux played college football for the Tennessee Volunteers from 2001 to 2004. After redshirting in 2001, he played primarily as a reserve at both defensive end and linebacker. He earned varsity letters in 2002 and 2004, appearing in seventeen games during his college career. 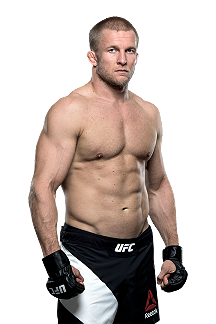 He graduated in 2004 with a degree in sociology, and began to train in kickboxing and submission grappling. After two unsuccessful attempts at professional football, Saint Preux gave up the sport and began to take an interest in martial arts as a form of training. Saint Preux, who currently trains at Knoxville Martial Arts Academy in Knoxville, Tennessee, began to fight professionally at the suggestion of his coach. Saint Preux attributes his confidence in the ring to his membership in Omega Psi Phi fraternity. Saint Preux compiled an undefeated amateur MMA record of 5-0 before making his professional MMA debut at VFC 1 against Rodney Wallace, which he lost by decision. In his second MMA match, he suffered another decision loss. His next match came against Robert Turner which he won by a brutal head kick at XFC 7: School of Hard Knox. Saint Preux was a runner-up for Inside MMA’s Submission of The Year for 2009 with a calf slicer against Ombey Mobley, but was beaten by Toby Imada‘s reverse triangle. In June 2010, Saint Preux signed a multi-fight deal with Strikeforce. 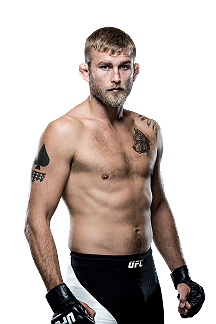 His debut match came against Chris Hawk at Strikeforce: Nashville, which he won due to TKO (punches) in the first round. After knocking out UFC veteran Jason Day in eight seconds outside the Strikeforce organization, he returned to fight Antwain Britt in his second Strikeforce fight on a ShoMMA Strikeforce Challengers event. He won by unanimous decision. Saint Preux returned to action less than a month after his win over Britt to fight UFC and Strikeforce veteran Benji Radach on the main card of Strikeforce: Henderson vs. Babalu II. Saint Preux defeated Radach via unanimous decision. Saint Preux competed in his third Strikeforce fight in less than seven weeks and faced Abongo Humphrey on January 7, 2011, at Strikeforce Challengers: Woodley vs. Saffiedine. He won the fight via unanimous decision. This three fight series over a seven-week period marked the only time a Strikeforce fighter competed on three successive shows. Saint Preux faced Joe Cason on July 22, 2011, at Strikeforce Challengers: Voelker vs. Bowling III. He won the fight via submission to strikes in the first round. In his post-fight interview, Saint Preux asked for either Renato Sobral or Gegard Mousasi as his next opponent. Saint Preux next fought Gegard Mousasi on December 17, 2011, at Strikeforce: Melendez vs. Masvidal. He lost the fight via unanimous decision. Saint Preux fought T. J. Cook on August 18, 2012, at Strikeforce: Rousey vs. Kaufman. He won the fight via third round knockout with a punch. In January 2013, the Strikeforce organization was closed by its parent company Zuffa with a majority of the Strikeforce fighters being brought over to the Ultimate Fighting Championship. For his UFC debut, Saint Preux faced fellow promotional newcomer Gian Villante on April 27, 2013, at UFC 159. The fight ended in unusual fashion as Saint Preux accidentally poked Villante in the right eye with his thumb and referee Kevin Mulhall immediately called an end to the fight after asking Villante if he could see. As a result of the injury, the fight went to the judges’ scorecards and Saint Preux won a majority technical decision. For his second bout with the promotion, Saint Preux faced Cody Donovan on August 17, 2013, at UFC Fight Night 26. He won the fight via knockout at 2:07 in the first round. Saint Preux was briefly linked to a bout against Thiago Silva on January 15, 2014, at UFC Fight Night 35. However, Silva pulled out of the bout less than 24 hours after the announcement. The match against Silva was rescheduled for March 15, 2014 at UFC 171. However, the rescheduled bout was cancelled on February 7, 2014, after Silva was arrested by Florida police on attempted murder charges. Saint Preux instead fought Nikita Krylov at the event, winning in the first round with a Von Flue choke. The rare submission win also earned Saint Preux his first Performance of the Night bonus award. For his fourth fight, Saint Preux faced Ryan Jimmo on June 14, 2014, at UFC 174. He won the fight in the second round when Jimmo verbally submitted due to a broken arm as a result of blocking one of Saint Preux’s kicks. Saint Preux faced Ryan Bader on August 16, 2014, in the main event at UFC Fight Night 47. He lost the fight via unanimous decision. Saint Preux was expected to face Rafael Cavalcante on November 8, 2014, at UFC Fight Night 56. However, Cavalcante pulled out of the bout citing injury and was replaced by Francimar Barroso. 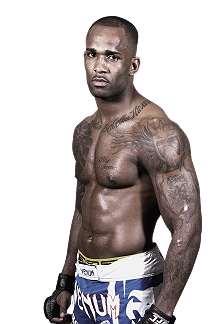 However, on October 29, it was announced that Saint Preux would step up to replace an injured Jimi Manuwa in the main event against Maurício Rua. Despite being the underdog and fighting in Rua’s home country of Brazil, Saint Preux won the fight via knockout just 34 seconds into the first round. Shogun’s loss to Preux was the fastest defeat of his professional career. The win also earned Saint Preux his second Performance of the Night bonus award. Saint Preux faced Patrick Cummins on April 18, 2015, at UFC on Fox 15. He won the fight via knockout in the first round. Saint Preux faced Glover Teixeira on August 8, 2015, at UFC Fight Night 73. He lost the back-and-forth fight by submission in the third round. Both participants were awarded Fight of the Night honors. Saint Preux next faced Rafael Cavalcante on February 6, 2016, at UFC Fight Night 82. Despite Preux injuring his ankle in the first round, he won the fight by unanimous decision. Saint Preux was tabbed as a short notice injury replacement to face Jon Jones for the interim light heavyweight title on April 23, 2016, at UFC 197 filling in for Daniel Cormier. Saint Preux lost via unanimous decision. Saint Preux’s coach revealed that Saint Preux’s arm was broken in the second round. Saint Preux faced Jimi Manuwa on October 8, 2016, at UFC 204. He lost the fight via knockout in the second round. Saint Preux was expected to face Jan Błachowicz on February 4, 2017, at UFC Fight Night 104. 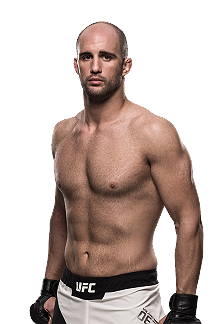 However, Błachowicz was pulled from the fight in mid-January and replaced by promotional newcomer Volkan Oezdemir. Saint Preux lost the fight via split decision. 14 of 16 MMA media outlets scored the fight for Saint Preux. Saint Preux faced Marcos Rogério de Lima on April 22, 2017, at UFC Fight Night 108. He defeated de Lima due to a Von Flue choke submission in the second round. With this win, Saint Preux is the only fighter to successfully win via Von Flue choke twice in the UFC. A rematch with Maurício Rua was expected to take place on September 23, 2017, at UFC Fight Night 117. The bout was changed after Rua suffered an injury and was promptly replaced with Yushin Okami. Saint Preux won the fight via Von Flue choke in the first round, marking his third win via this submission. This win earned him the Performance of the Night bonus. Saint Preux stepped in to replace Patrick Cummins in a fight against Corey Anderson on November 4, 2017, at UFC 217. After winning the first round by landing the more effective strikes and rocking Anderson in the final seconds and losing the second round due to Anderson’s wrestling, Saint Preux won the fight via a head kick knockout in the opening minute of the third round. This win earned him a $25,000 Performance of the Night bonus award. Saint Preux was expected to face Ilir Latifi on January 27, 2018, at UFC on Fox 27. However, Latifi was injured during a training session and he was forced to pull out from the bout. As a result, the bout was cancelled. The pair was rebooked and the bout took place on February 24, 2018 at UFC on Fox 28. Saint Preux lost the fight via technical submission in the first round. Saint Preux faced Tyson Pedro on June 23, 2018, at UFC Fight Night 132. He won the fight via submission in the first round. This win earned him the Performance of the Night award. Saint Preux faced Dominick Reyes on October 6, 2018 at UFC 229. He lost the fight via unanimous decision. Saint Preux was expected to face Misha Cirkunov on March 2, 2019, at UFC 235. 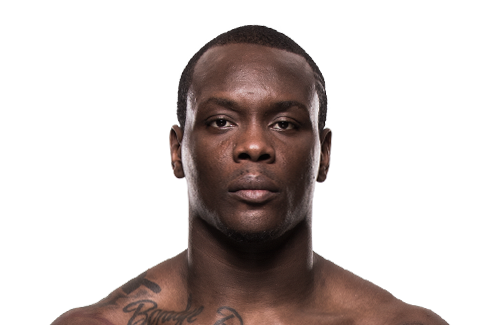 However on February 11, it was announced that Saint Preux suffered an injury and was pulled from the fight. He was replaced by Johnny Walker. Saint Preux is scheduled to face Nikita Krylov in a rematch on April 13, 2019, at UFC 236.